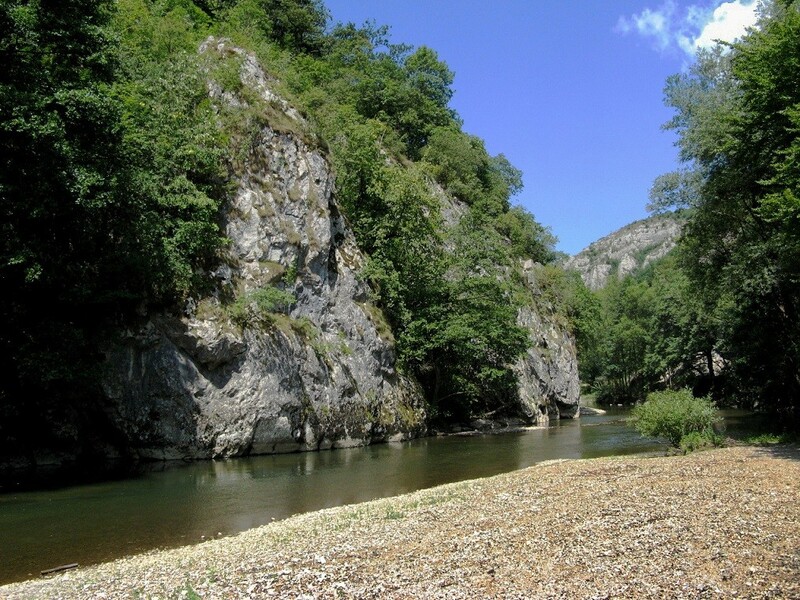 The Nera-Beuşniţa Gorge National Park was founded in 1990 and covers 36.758 hectares in Caraş-Severin County. It contains some of the most beautiful natural treasures, untouched by the intrusion of man. It has impressive caves, lakes of the purest blue, imposing mountains, fertile lands, clear springs and brooks. This is a place where the horned viper, the dragon fly and the fireflies still reign undisturbed. The relief of the park was dug by two rivers, Nera and Beu. In fact, the gorge spreads along the river Nera for 22 km. The river has strong currents during rains and the melting of snow, but in the summer, it quiets down and allows the onlookers to see its depths. The summer is the perfect time to visit the gorge on water. The national park has two lakes of unspeakable beauty. One is called The Devil’s Lake (Lacul Dracului) and the other, Ochiul Beiului Lake. The Devil’s Lake is a karst lake – a lake in a subterranean hollow – and the biggest of its kind in Romania. It used to be a subterranean lake, in a cave, but one of the walls of the cave collapsed and brought it to the surface. The lake covers a surface of 700 m and has a depth of 12 m. Its color is blue-green but it varies according to the color of the sky and to the light. Ochiul Beiului Lake is located in a wild area of the park, where The Aninei Mountains and The Locvei Mountains meet. 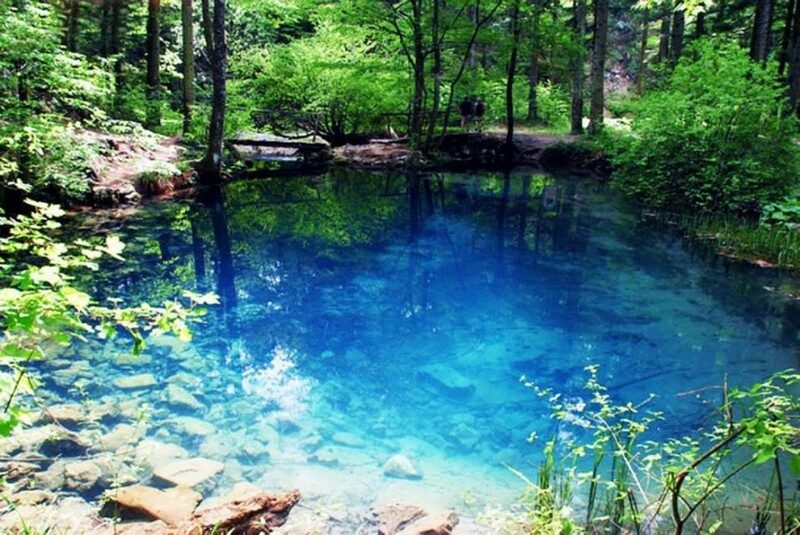 It has the shape of a crater and a depth of 3.6 m. Like The Devil’s Lake, Ochiul Beiului Lake has an almost unnatural blue color. But at the same time, its water is so clear that bystanders can admire the swimming fish. Another interesting thing about the lake is that it never freezes. It maintains a constant temperature of 4-8°C throughout the year and this is why some migratory birds remain here over winter instead of travelling to warmer countries. 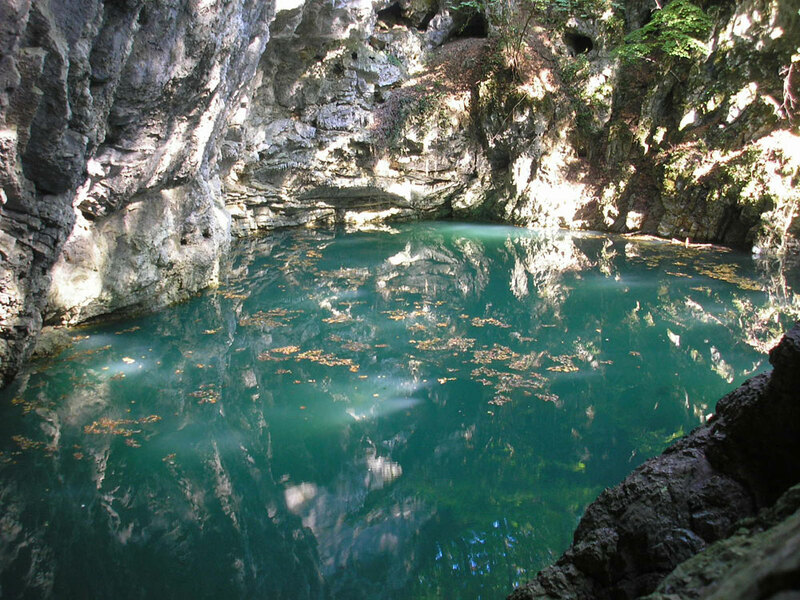 Another attraction worth seeing in the park is Beuşniţa Fall, located 20 minutes away from Ochiul Beiului Lake. 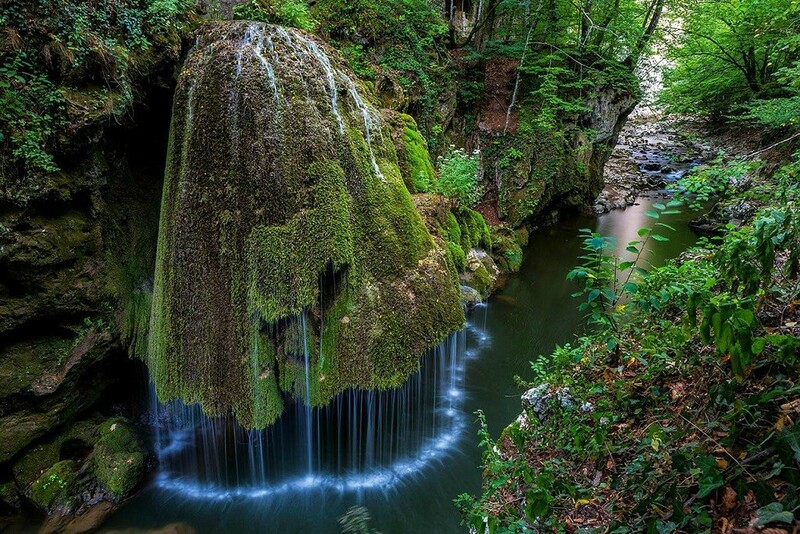 What makes this waterfall so spectacular is that it is composed of a number of smaller falls. This has led to its being likened to a bride’s veil. The fall is 15 m high and is covered with green moss. But it is important to visit it during spring or during a rainy summer to be able to admire its full splendor. During the warm season it is usually dry.